Giuseppe Torelli (Verona, April 22, 1658 - Bologna, February 8, 1709) was an Italian violinist, pedagogue and composer. He was the brother of Felice Torelli, a noted painter, and is most remembered for his contributions to the development of the instrumental concerto, especially concerto grosso and the solo concerto, having it seems, a partiality for the trumpet. Regarded by some as one of the greatest Italian composers and violonists ever, Torelli was a pupil of Giacomo Antonio Perti in Bologna, Italy. On June 27, 1684, at the age of 26, he became a member of the Accademia Filarmonica as suonatore di violino. He directed the capella at the cathedral (San Petronio) of Bologna, 1686 - 1695. 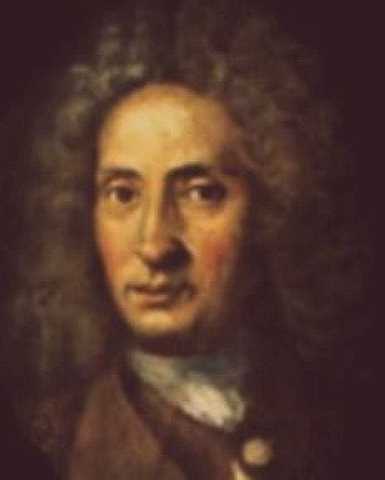 He was maestro di concerto to the court of Georg Friedrich II, Margrave of Brandenburg-Ansbach from 1698 to 1699 where he presented an oratorio (December 1699) before returning again to Bologna (1701) to become a violinist in the cappella musicale at San Petronio. The most notable amongst his many pupils was Francesco Manfredini. In addition, he produced more than 30 concertos for 1 to 4 trumpets.